The Rock is open to being president and yaaas! 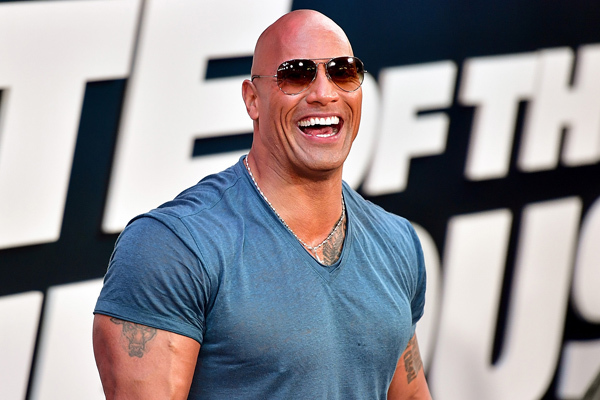 Dwayne Johnson explained what he’d do as president, and we want to vote for him right now. The Baywatch actor is GQ’s June cover star, and we are totally here for it. During his interview with the magazine, things got political for a moment and Johnson somehow laid out what his presidential plans would be. "With any job you come into, you've got to prove yourself," Johnson told GQ when asked about his thoughts on President Trump. Despite keeping it tight-lipped on his political views, The Fate of the Furious actor did reveal what he would do if he was in charge of the Oval Office. “The first thing we’d do is we’d come and sit down and we’d talk about it,” he added. When asked if he would seriously run for office, he replied, “I think that it’s a real possibility.” He added that he doesn’t believe in the muslim ban and considers himself a feminist. If Johnson were to run for president at some point he already has two votes — not including ours. Both NBCUniversal vice chairman Ron Meyer and producer Beau Flynn are big fans of this idea. Flynn agreed with this sentiment and said the actor would “100 percent” win if he ran. We are sold! Johnson for president 2020! You can read more about his hypothetical presidential run, here.